It’s another day, another week! How was your weekend? My weekend flew by and I can’t believe it’s already back to Monday. Philip and I had a productive weekend, but not the most eventful one. I guess cleaning, laundry, and groceries have to get done at some point during the week, right? Before I go any farther, though, I must share with you my new favorite treat. It’s just enough sweetness to cure my after-dinner-something-sweet need, but nothing over the top. I don’t know what made me try it, but I’m so glad the idea came to my head! 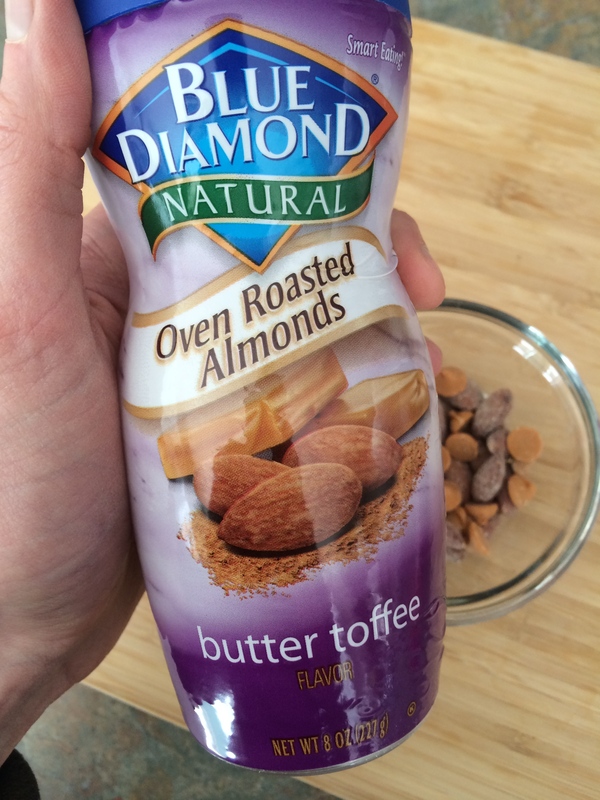 First, have you heard of the Blue Diamond flavored almonds? They’re Part 1 of my treat combo. I love the butter toffee kind and, although I always look longingly at them while I pass them by at the grocery store (because I can be just as happy with plain almonds for a much cheaper price…that’s what I tell myself), I finally caved (with Philip’s encouragement) and grabbed one. 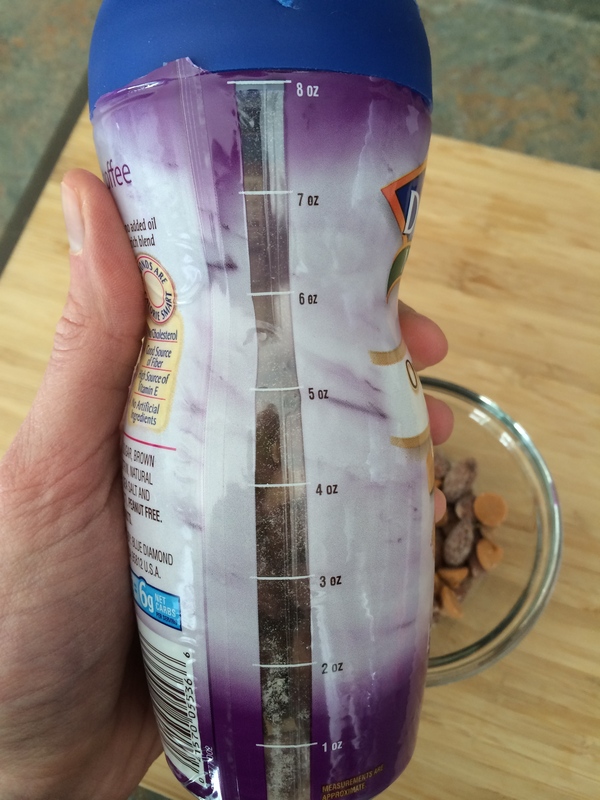 I love that Blue Diamond has the portion measured out right on the container and that it has just enough flavor without being loaded with a lot of extra sugar. Alrighty, back to the issue at hand. Even though Philip and I seemed to have an uneventful weekend, we were able to have a great couple from our church over for dinner on Friday night. Philip and I have really been enjoying putting our talents together since getting married and serving in our church by inviting new couples or individuals over for dinner regularly. It helps us get to know more people in our church community, but we hope it also helps new individuals feel more at home and welcome at church. I’ve been there—it can be so intimidating joining a new church when everyone seems to know everybody else. So anyway, the main course was easy enough to plan because I already had something lined up that Philip and I were going to have…why not add a couple more people? Great, planning: done. 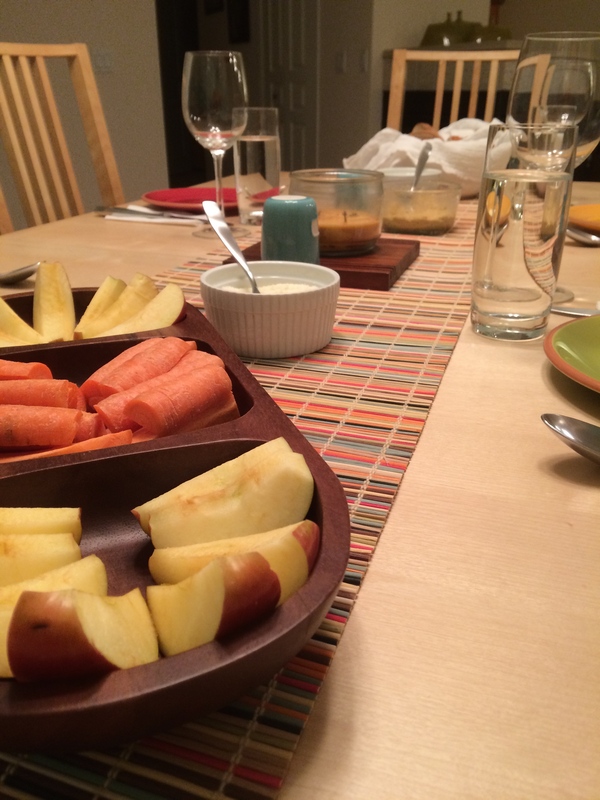 Well, that was until I realized on Thursday (dinner was on Friday, remember) that I had no dessert…at all. Shocking, I know, since I love dessert. As much as I love baking, I try not to have a lot of baked goods around all the time. But I couldn’t have guests over and not even have something to offer them. And if I’m going to offer dessert, for some reason I have some standard I’ve set for myself that it must be homemade. 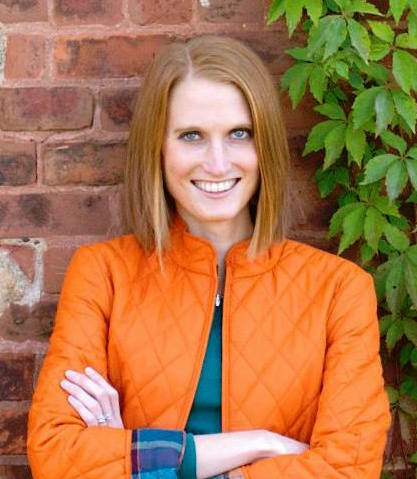 I racked my brain for anything that matched the criteria of fast and simple. 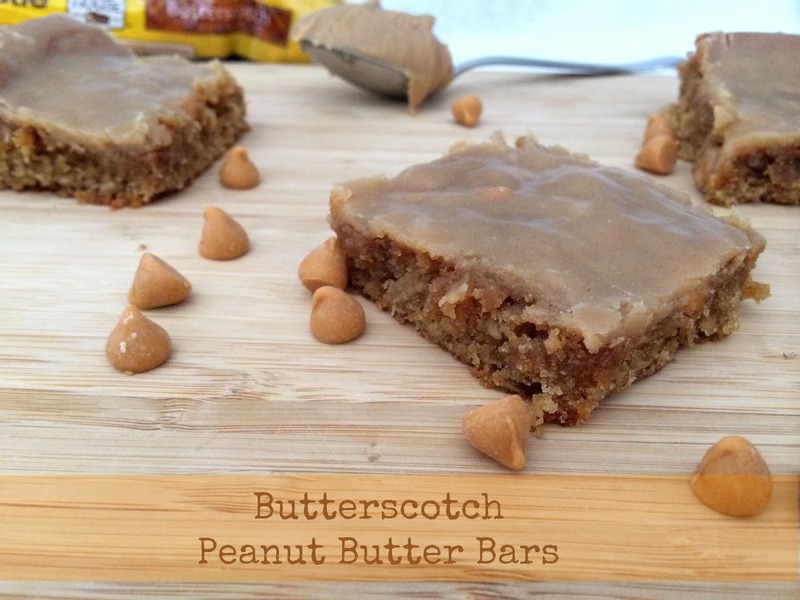 I came up with some ideas and of those, Philip opted for Butterscotch Peanut Butter Bars. 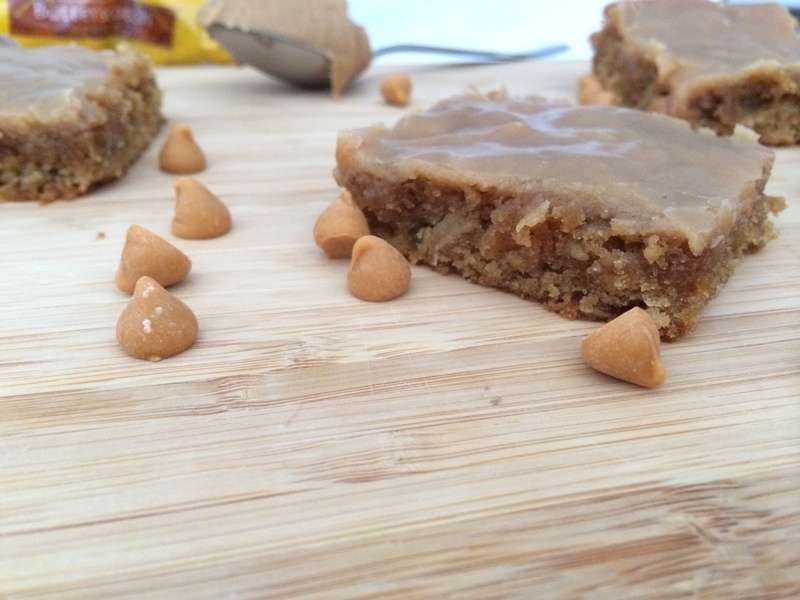 It was a slight risk since I had never made them before, but I figured you can’t go wrong with peanut butter. I’m so glad he chose these because they were delicious! Even though there’s peanut butter and oatmeal involved in the recipe, I’m not even going to pretend they’re good for you. I’ll be honest, it’s a dessert. Plain and simple. But, back to my guidelines, everything in moderation. It was a gathering of friends and a time to enjoy food. Hence, the need for a good, no-need-for-healthy-dessert. That said, I really did like having the little bit of oatmeal that was hidden in the bar. It gave the moist bar a nice bit of extra texture. The bar itself was moist without being overly cake-y. 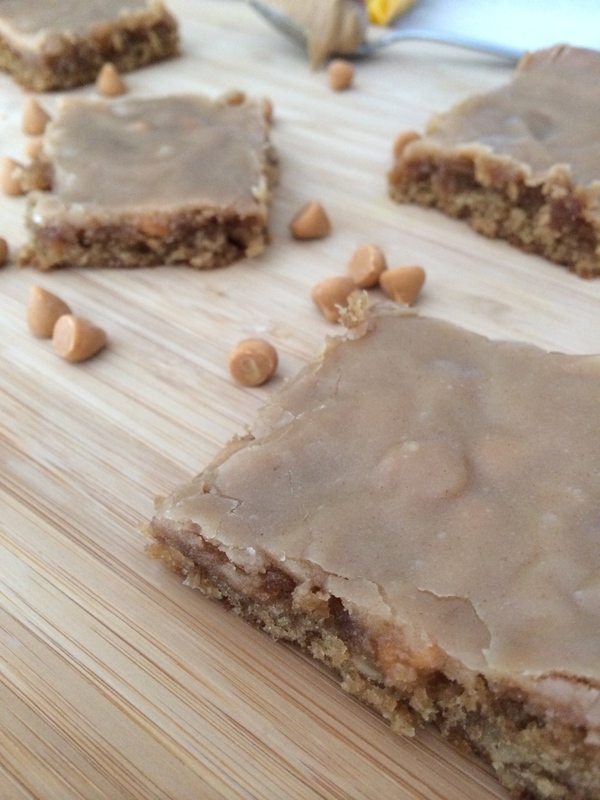 It was almost like a cookie made into a bar, but not quite that either. The peanut butter was subtle throughout the bar, but I think the show-stopper was the peanut butter glaze on top. It was a quick and simple glaze with milk, powdered sugar, and peanut butter. 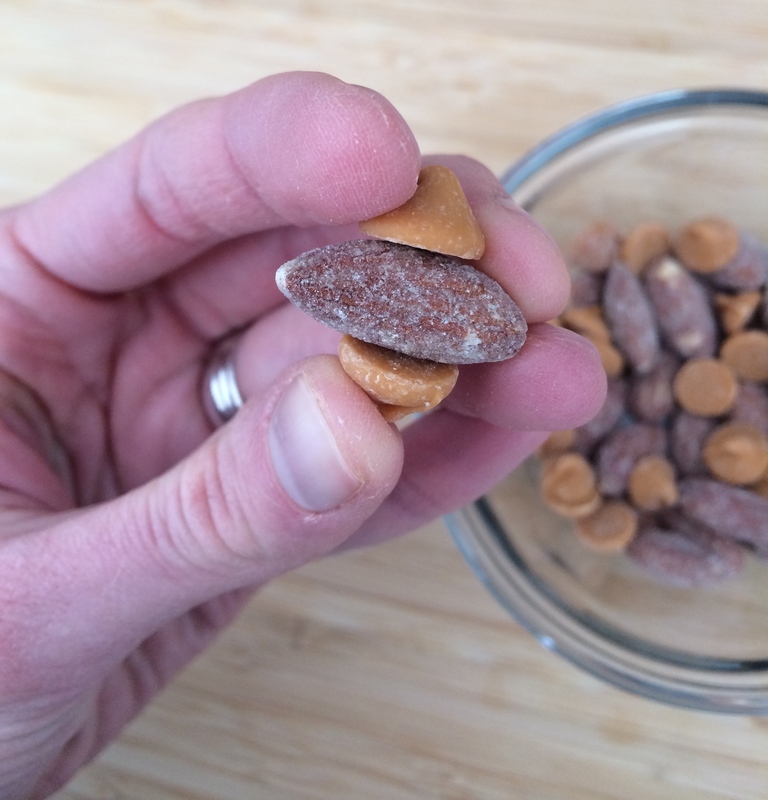 The butterscotch chips that were sprinkled on the bar right before putting it in the oven gave it an extra flavor that complimented the peanut butter really well (seriously, do butterscotch chips compliment everything really well?!). It was a flavor combo Philip and I remembered tasting somewhere before, but we couldn’t place it. If you can think of it, let me know! The best part, though? It was completely made—out of the oven, cooling with the glaze on top, and dishes done—all within an hour! Score! I loved that it was a bar instead of cookies, since all I had to do was pour it into a greased pan; I didn’t have to worry about hanging around to keep scooping out more cookie dough—not what I was wanting to do on my Thursday night. I also halved the recipe (I still used one egg) and put it in a 9×9 inch pan since Philip and I didn’t want to be stuck with a lot afterwards (no matter how good it was, we knew it’d be best to get most of it eaten with our guests). 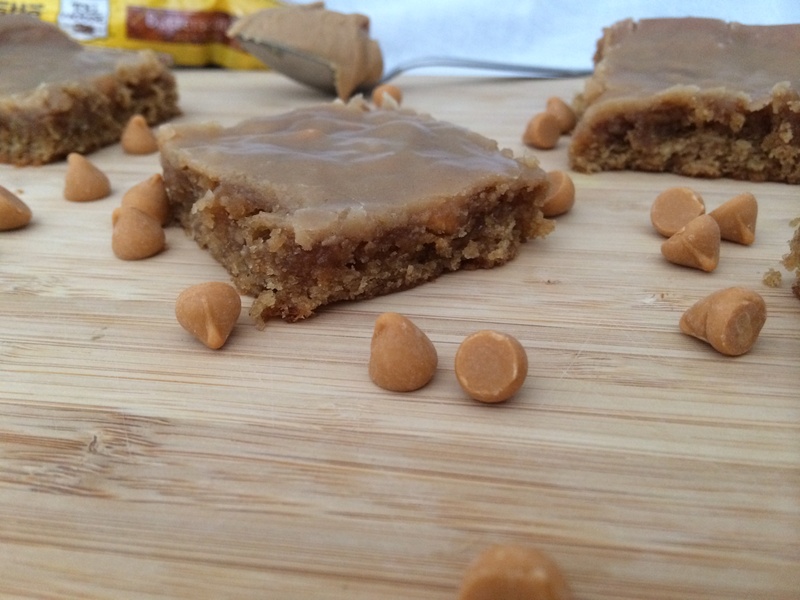 If you’re in need of a quick recipe for some last minute guests arriving or if you’re just craving some peanut butter like I often am, this is the perfect recipe! Preheat the oven to 350°. Grease a 9×13 inch baking dish with cooking spray. Using an electric mixer, cream the butter, granulated sugar, brown sugar and 1/2 cup of the peanut butter. Add the egg and vanilla. Add the flour, baking soda, salt, and oatmeal to the batter. Mix until well incorporated. Spread the batter in the baking pan. Sprinkle the butterscotch chips over the batter and bake for 20–25 minutes, until lightly browned around the edges. Whisk together the powdered sugar, milk, and the remaining 1/4 cup peanut butter until smooth. Spread the glaze evenly over the warm bars. Allow to cool completely before cutting into the squares. I pretty much love any type of dessert bar (some may say I have a sweet tooth, haha), but I’m especially digging the butterscotch PB combo! Looks great!